Travel portal development is a powerful web based online booking system specially designed for travel management companies, destination management companies, travel aggregators, B2B B2C travel agencies, tour operators and home-based travel agents. This software meets all traveling and booking related concerns in all possible ways without any intervention of travel booking agents that charge you some amount. TraviPro is a travel portal development company offering excellent travel portal software. Our portal software provides travel portal related solutions with the changing demand of current travel business. Our professionals offers the best customized travel portal development to your changing needs. 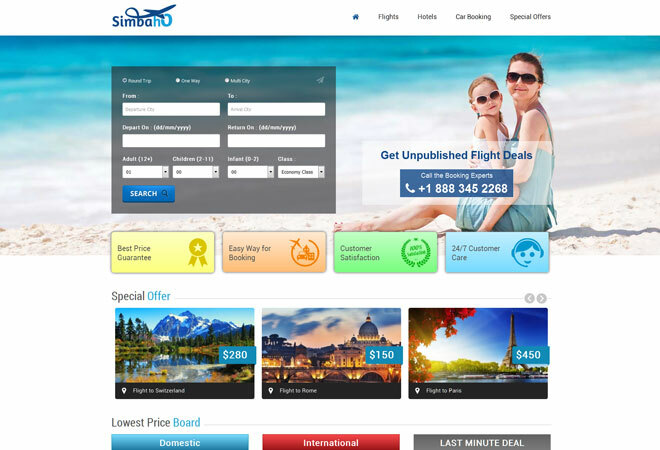 For tour and travel industry, we deliver inclusive travel website solution and proficient travel portal software. Our travel portal development includes integration of various API''s for air booking, hotel reservation, car booking, bus booking and many others.